Tartus passenger and car ferry ticket prices, timetables, ticket reservations and information for ferries sailing from Tartus to Venice and Alexandria. Compare all available Tartus ferry ticket prices in real time and book the cheapest available Tartus car and passenger ferry tickets sailing to and from Tartus, Venice and Alexandria with Visemar Ferry Line ferries online with instant confirmation. Book Tartus Ferry Tickets with Visemar Ferry Line for ferries sailing from Tartus to Venice and Alexandria online in advance to enjoy the cheapest available ferry ticket price. The price you see is the price you pay. There are no hidden extras or surprises such as added fuel surcharges or booking fees and we do not charge you anything extra for paying with a Visa Electron card. The price we quote you for your selected Tartus passenger or car ferry ticket, onboard accommodation and vehicle type is all you will pay, and that's a promise. To obtain a Tartus ferry ticket price and book your ferry ticket securely online please use the real time ferry booking form on the left. You are also able to add a hotel at your destination, or anywhere else, to your ferry ticket when completing your ferry ticket reservation. Tartus is Syria's second most important coast after Latakia. It is roughly 90 km from Homs, 251 km from Damascus, 105 km from Hama, and 90 km from Latakia. See Map for distances between cities. Tartus was founded by the Phoenician colony on Arwad and remained an important settlement through the Hellenistic and Roman times. It became a major Christian stronghold and during the fourth century a chapel but was built here which is claimed to be the first dedicated to the Virgin Mary. An Earthquake in 487 AD largely destroyed the chapel but a miracle left its alter miraculously unscathed. Later the city and cathedral were attacked by Saladin forces but the Knights Templars defended the fortified city and it prevailed to be a Crusader town until 1291. Tartus is a very popular tourist destination. It has beautiful sandy beaches and resorts in store for the visitors. Its rich history is evident in the architecture of the city. The crusader architecture is best exemplified in the Cathedral of Our Lady of Tortosa. It now serves as the town’s museum. It houses various Syro-Phoenician, Roman Byzantine, Frank and Muslim antiques. The old city is the historic centre of the city. It includes an old twelfth-century wall that has helped retain the charm of the old city. In the older part of the city lies the magnificent Castle of the Templars. Built in late twelfth and early thirteenth centuries, the castle is now mostly in ruins. The moat of the fortress still separates the old city from the new city on the northern and eastern side. Other attractions in the city include Beit El Baik Palace and Hosn Suleiman Temple. The nearby Arwad Island, the only inhabited island of Syria, can be visited from here. Besides the Cathedral, other attractions include the old city and a city wall that preserves the beauty of the old city. The beaches and water are clean, and the accommodations are excellent. There are many hotels and restaurants in the area. Other nearby attractions include Baniyas, Qalaat Yahmur, Qalaat Areimeh, Draykish, Qalaat Kadmous, Amrit, Safita, Crac des Chevaliers, Meshta al-Helu, and the Monastery of St. George. 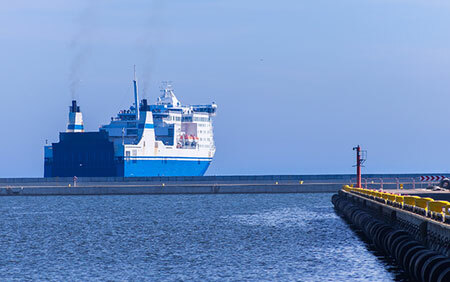 Visemar Ferries, a Venice-based shipping compan, has recently launched two new routes connecting Venice to Tartus in Syria and Alexandria in Egypt. Best Price Guarantee - We always offer you our lowest available Visemar Ferry Line passenger and car ferries ticket price to and from Tartus. There are no hidden extras or surprises such as added fuel surcharges or booking fees and we also we do not charge you anything extra for paying with a Visa Electron card. The price we quote for your selected Tartus ferry ticket, onboard accommodation and vehicle type is all you will pay, and that's a promise! In the unlikely event you find the same all inclusive Tartus ferry ticket cheaper in the brochure of any other tour operator we promise that we will do our best to beat that price or offer you the choice of requesting a refund. To book Tartus car and passenger ferry tickets please click here. At ferryto.co.uk you are able to obtain live Tartus ferry ticket prices, check availability and book car and passenger ferry tickets to and from Tartus at our lowest available ticket price. Ferryto.co.uk is part of the world's largest online ferry ticket distribution network providing the ability to book over 80 major European ferry operators including to Tartus and to over 1,200 other ferry routes throughout the UK, France, Spain, Ireland, Holland, Eastern Europe, the Mediterranean, the Baltic and North Africa.